Jazz up your classroom with this colorful straight-edged border! 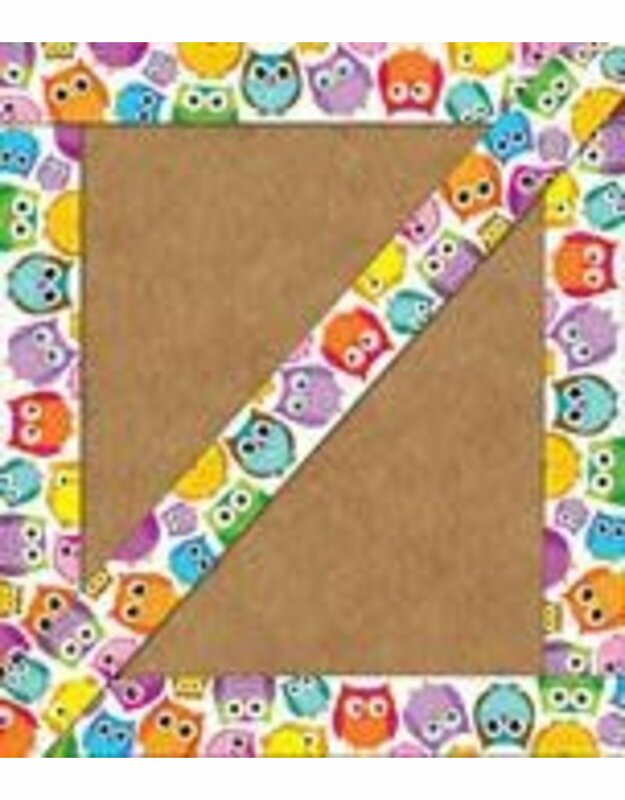 The Colorful Owls design will add energy and playfulness to any class creation, bulletin board, window, locker, or anywhere extra style is needed. Includes 12 pieces for a total of 36 feet. Perfect to use alone or in layers, this border has straight edges for easy use and continuity of design. Look for coordinating products in the this design to create an inviting and contemporary classroom theme!